Well this as far as I have got. Another step forward, I'm now waiting for the inevitable two steps back to appear. Tail assembly not yet glued so that's why it's wonky. You're a dark horse Mr Smith, all this talk of wonky WebBits - that's looking pretty good that Geoff. Wizard Webitt would be a better description Geoff ,nice one . Hey Geoff, you will okay if this grey weather continues - those are good high vis colours - like it. 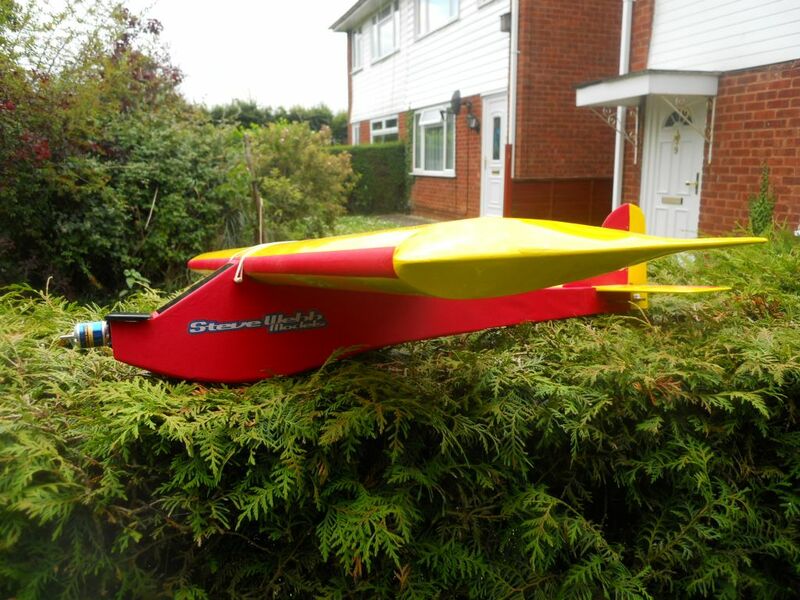 I like the covering job on the wings Geoff, I'm going to use the same colour and maybe "dayglo" orange for the wingtips. As for the pushrods, I was in two minds whether to use them but as I already had a spare set of snakes handy I used them instead. 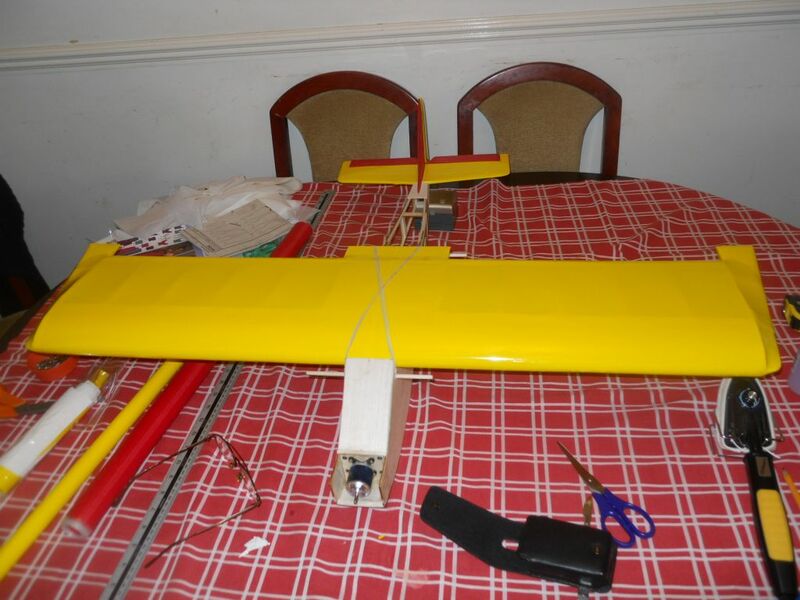 For such a small model I'd use 1/4" hardwood dowel (I bought a 10' length from a builders for a couple of quid) with the 2mm rods tied and glued in the normal manner to the ends. They won't need supporting in the fuselage. I agree with Doug - they wont need supporting Geoff. I think everyone had fun and games with those wing tips! I know I did. The "flat bit at the end conbined with the rather sharp double curvatuture at the front prsented something of a challenge. Why is mine longer than yours? Now that I've got your attention let me elucidate. 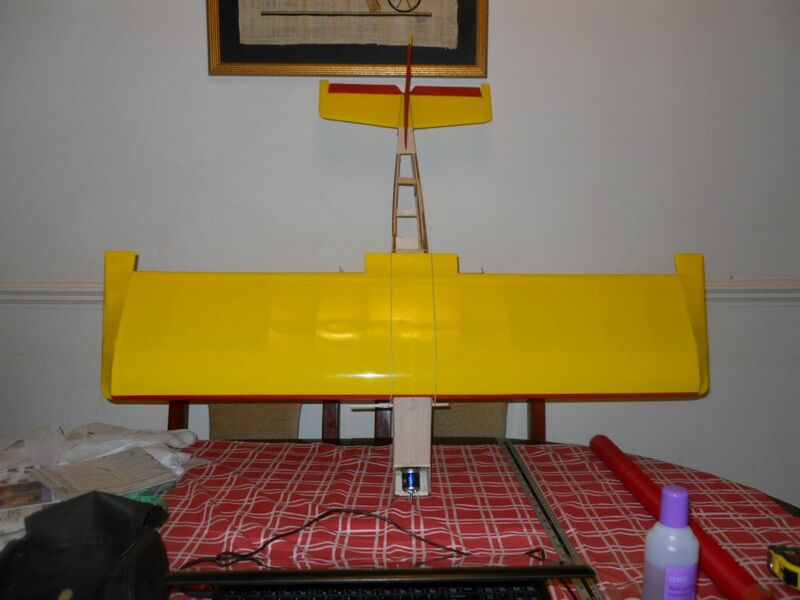 When fitted my rudder fin extends well below the bottom of the rear fuselage. As I have not fitted wheels the first landing is going to see that ripped off. Have I made a mistake somewhere or should I trim to fit? These things often happen Geoff. 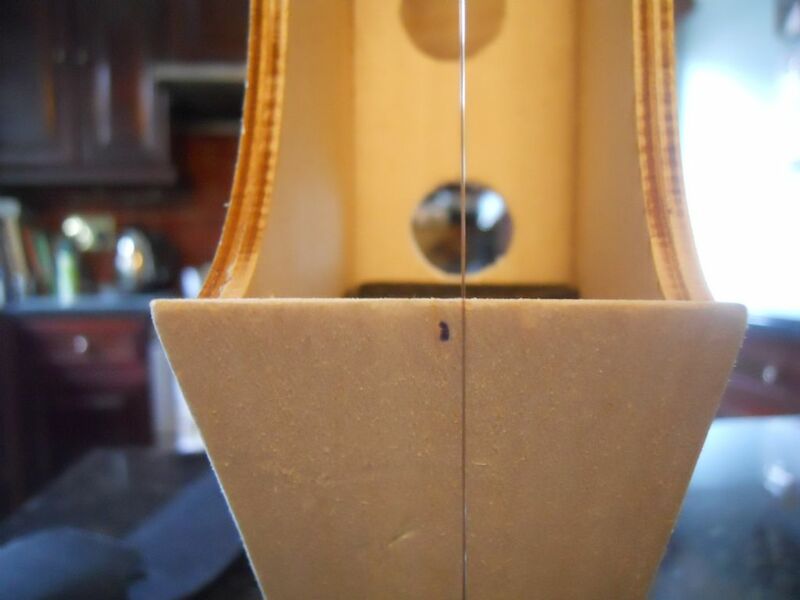 a small tail skid made from either thin piano wire or ply, let in to the sheet. 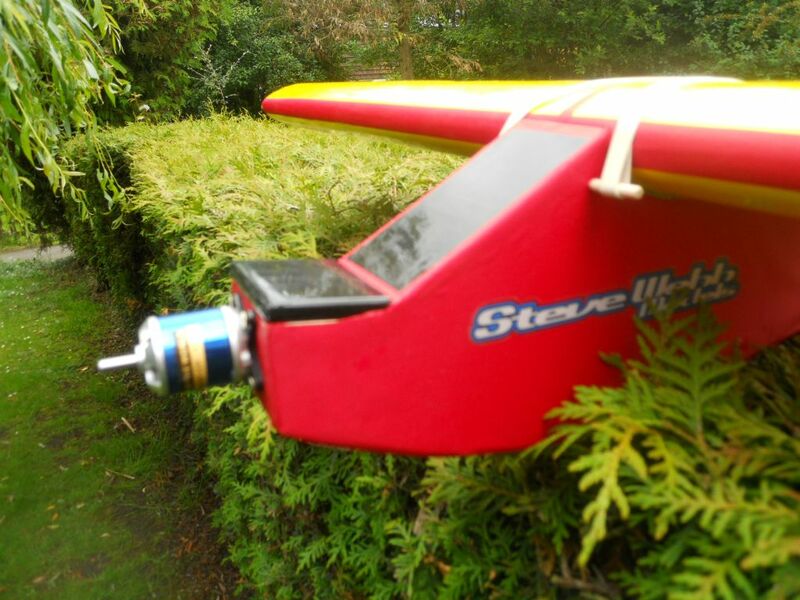 I'd say you could either trim it off or add a strake below the fus to protect it - just a triangle of 1/8" hard balsa, Geoff. The story so far. 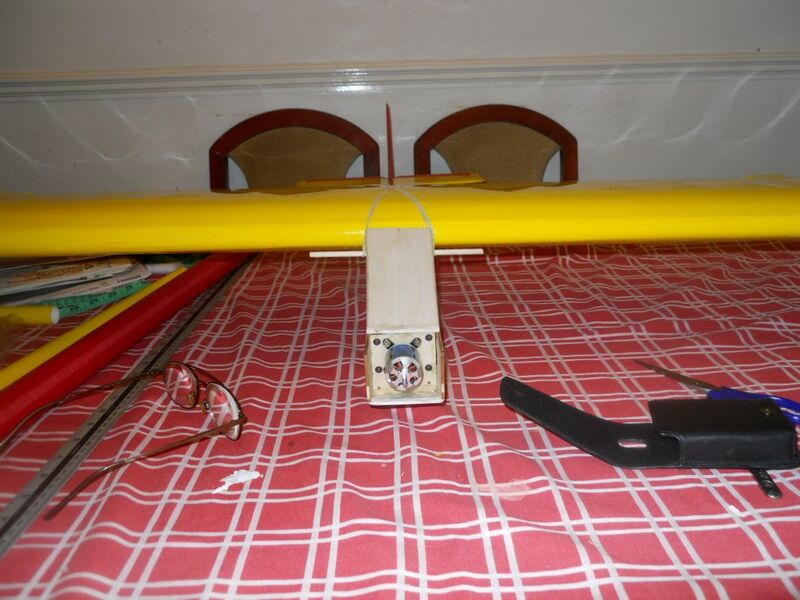 The control rods are in and working, everything that goes up and down and side to side are working, servo's centred and flying surfaces levelled. Now for the good bit. 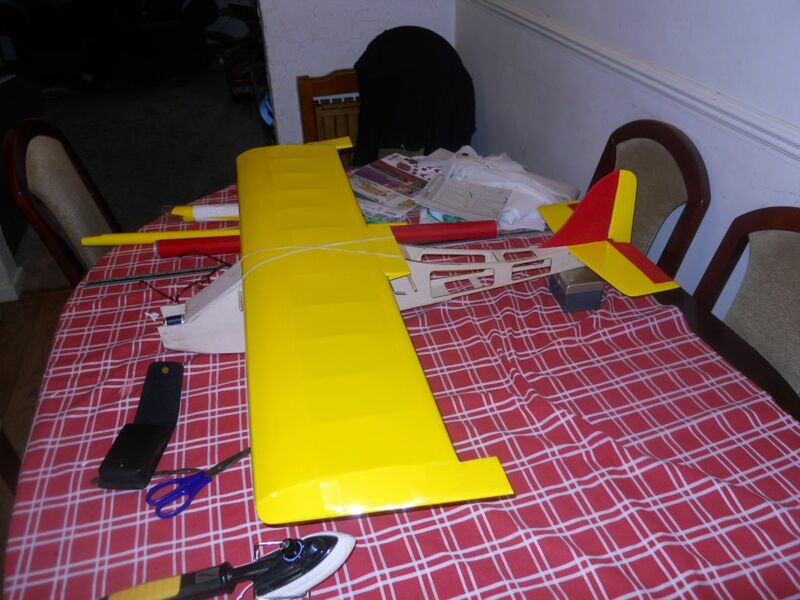 I tested the CoG and it is gonna need about 6.5 oz of church roof, this will give it a slight nose heavy attitude (maybe, 'cos I ain't finished the fuselage sheeting yet) that's for tomorrow. Is 6.5 oz excessive? Also, where the heck do you put all this lead in the Webbit? it is going to be pretty tight stacked around the motor. Before you ask, everything that needs to be is right up against the firewall, I can't move anything else up. Cheers my friends. Well here it is. Putting the motor on the front has reduced the ballast requirement by half. Still some cosmetic to do. BTW Solatex does not stick to liteply I had to strip of the sides and rub in some Rapid Bond PVA and let it dry, Not perfect but it will have to do as I have no more time to spend on it, ,maybe half an hour on Thursday afternoon. Cheers my friends Just spotted the wings aren't on straight, not intentionally I hasten to add. Well it just isn't! - wonky, I did the maiden for Geoff this evening and no trim adjustment was necessary at all. Well done Geoff it's a lovely flier. 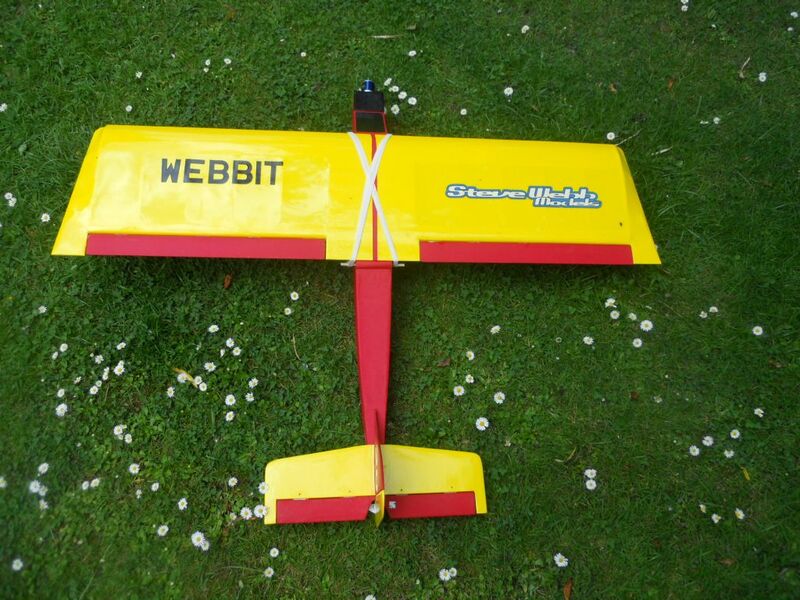 Geoff, some pics of the not so wonky Webbit flying here. 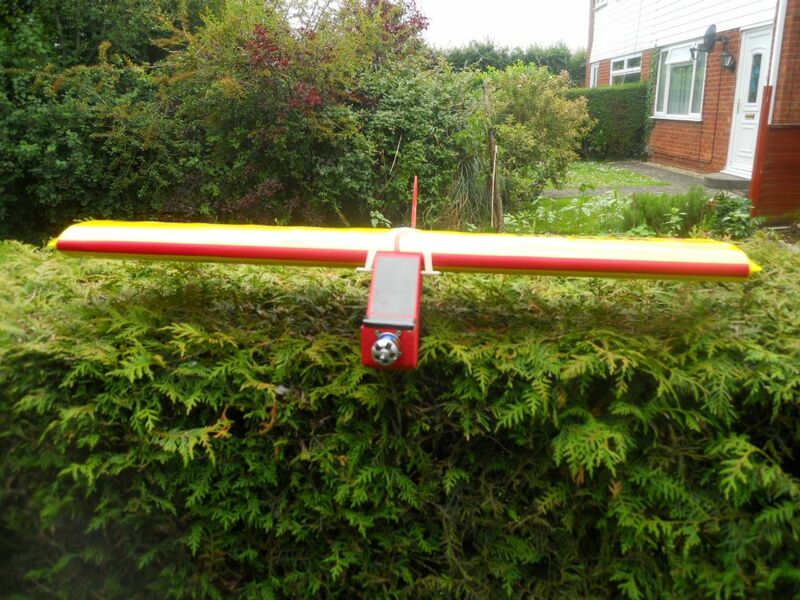 Well done from me, it flew really well. Stop Press Wonky WebBIT seen in the latest edition of RCME - with Geof. TBH I think the plane looks fine. Nice to see you in the mag Geof.